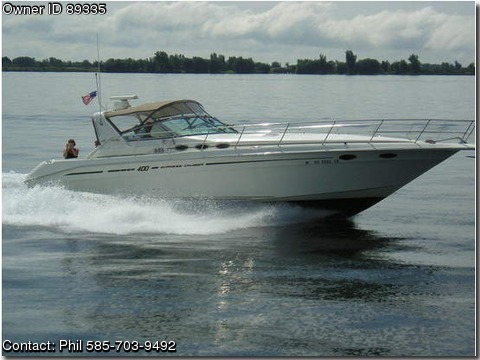 SELLER DESCRIPTION 1998 Sea Ray 400 Express Cruiser,This is one of the best looking boats ever made by SEA RAY. All the usual SEA RAY options – former dealer demo. Kept in fresh water her whole life. New refrig – 2009/New canvas – 2008/New props – 2010/New seals on toilet system – 2009/Always well maintained.